For me, here in Australia, Halloween is over for another year. 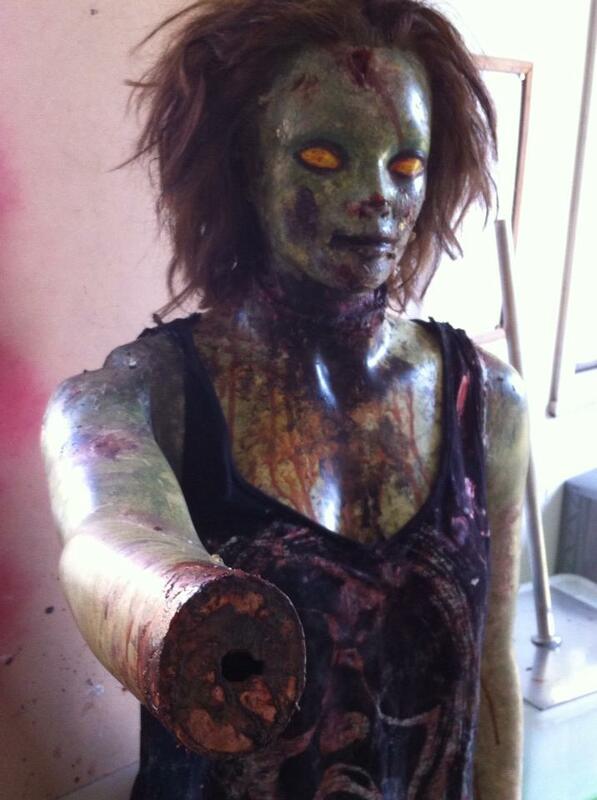 We decorated the house, I made a zombie from an old shop mannequin (see picture below), and we had a few trick r treaters, but overall, and it was whole lot of fun. Right now though on in the Land of the True Halloween – the northern hemisphere – the celebration is just beginning. As part of the Horror Writers Association’s Halloween Haunts 2013 campaign, I’ve written a blog post about the northern hemisphere Halloween and how much I envy it. I’ve also included a new excerpt from my Halloween novella, The Last Night of October, so please head on over and see what an Aussie thinks of the Halloween holiday. And if you’re in the mood for some free reads this Halloween, why not pick up a FREE copy of my collection, Midnight Theatre: Tales of Terror over at Smashwords? Have a Helluva Halloween on me! 1 Response to Have a Helluva Halloween! Love that Zombie mannequin, Greg!